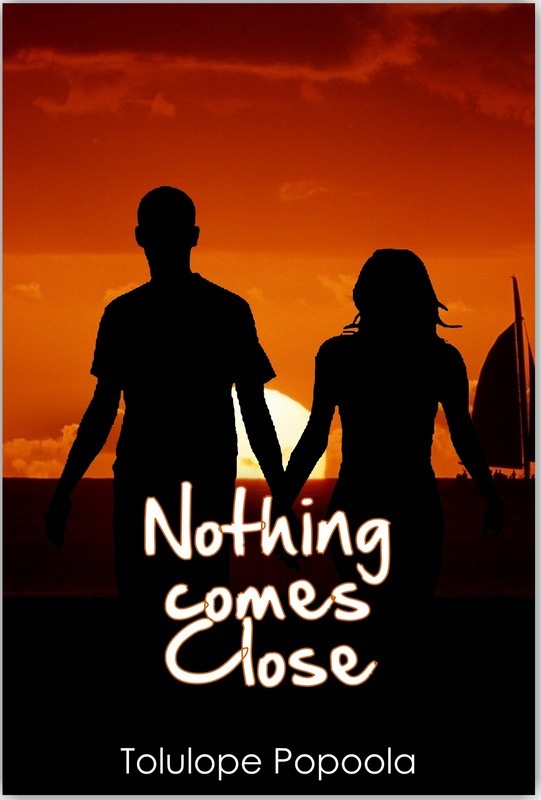 On Writing and Life: New Reviews for "Nothing Comes Close"
Hi everyone! Hope you've had a great month in February! I can't believe it's over already. It's been a busy month for me, with work and personal stuff. I've slacked a bit on some of my fitness goals, but I think I'm making some good progress on my reading and writing. I've also started working on my next novel. I have to do some research but I'll focus on getting the first draft done before I start filling in the background details, otherwise I'll never finish. I can't wait to get to the end of that process! Nothing Comes Close recently received four great reviews from different readers and publications. As a writer, it's great when readers connect with something you've written, and explain it from their own perspective. So it's perfectly possible to have two different readers interpreting your work in different ways. I enjoyed reading the reviews below, and they've given me a few things to think about. I hope you enjoy reading them too. BN Reviews on BellaNaija ~ A truly African love story, Nothing Comes Close shows us how African women fall in love—cautiously but completely. It is London sometime in the 2000s. Four young women—Lola, Funmi, Temmy, Maureen, and Titi—are caught up in the usual London hustle, doing the career thing and still finding time to look pretty at parties and bars. But their lives aren’t perfect, especially for Lola, who is nursing a broken heart and hanging on to a job—as a financial analyst—that she doesn’t like. At a house party organized by one of the girls, she meets Wole. 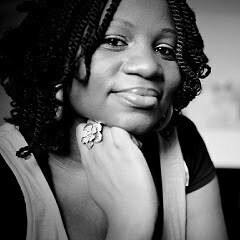 The attraction is instant, but in her classic Nigerian-girl approach to romance, she is hesitant, always worrying about “losing all sense of caution.” But when unexpected tragedy strikes in the form of a murder, the force of desire heightened by the pain of loss drives Lola into Wole’s arms. From that point, the driving question of the plot becomes: will Wole reward her need for comfort with love or will his dark past destroy their chance for happiness? OnePageWeekly ~ The romance between Popoola’s protagonists hits a rough patch when a murder investigation threatens to unearth some unpalatable details from the male protagonist’s past. The depth of trust, love and faith that was deposited in the relationship goes through an unfair test. Throw in a meddling relative; Lola’s sister who in the process of being protective almost murdered the relationship that Popoola got us rooting for. There, we have us a typical romance story. The good thing is that this novel is more than the conventional romance novel. Critical Literature Review ~ Nothing Comes Close flexibly narrates love with the complex mishmashes of life as its characters battle different torments. It is in the battling that the reader is hooked to the book. He suddenly sees his life in scattered shards in the characters’. 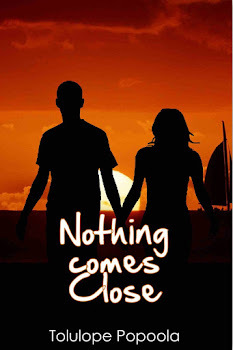 In Lola; you will be the lady thrashing around to be loved, hurting with every move… In Nothing Comes Close, love twirls everything, leaving in its wake disgusts, pains, hurts and fulfillments as the chapters in the books are skillfully divided between Lola’s and Wole’s point-of-views. Just Read It ~ The novel is a typical boy-meets-girl story but fused with twists and turns, interfering relatives, jealous friends, unexpected deaths and more than a few secrets, lies and revelations along the way. Lola is an attractive independent, confident young woman who likes to hang out with her three best friends. She meets Wole at the party of one of said best friends and is immediately charmed by his good looks and cool mysterious demeanor. Wole too is taken by Lola and the two very quickly develop a relationship. But the course of true love does not run smooth because Wole despite being Mr Perfect is a man of several unbecoming secrets which are slowly revealed as the novel unfolds, leaving Lola to wonder if she can really trust him. The evidence and her sister (the interfering relative) says not. But Lola wants to follow her heart, and without wanting to give too much away she does but not without cost.